To proceed with our self-healing, we learn how to block the intrusive thoughts and memories responsible for generating PTSD symptoms, such as insomnia and nightmares. 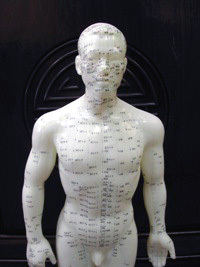 In Video 2, entitled “Emotional Meridians” we outline a number of spots on the head and torso that correspond to several important acupuncture points used in traditional Chinese medicine. Stimulating such points, while bringing troubling situations to mind can be effective in the treatment of anxiety disorders, such as panic attacks, phobias, and PTSD. Different therapists, using different techniques, and tapping different acupuncture points, get similarly strong results with most anxiety disorders. So, what is the underlying mechanism that accounts for the positive outcomes of this acupressure? One common element among the various techniques is that they all stimulate specialized mechanoreceptors in different parts of the body, that respond to stimulation on the surface of the skin. Acupuncture points, called “Hsue” in traditional Chinese medicine have a particularly high concentration of such receptors. The bio-energy created by tapping acupuncture points is capable of reaching brain structures, where emotional problems are considered neurological entities. Electrochemical signals from the acupressure of these receptors are thought to disrupt established associations between memories, thoughts and feelings. 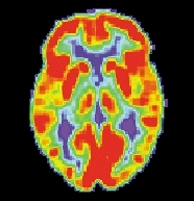 Various brain-imaging techniques have shown that when a person thinks about an emotional problem, activation signals are registered at the amygdala, hippocampus, orbital frontal cortex, and several other central nervous system structures. These same regions of the brain are stimulated by tapping pressure-sensitive receptors on the skin. The interaction of these signals appears to cause a shift in the biochemical foundations of the problem. One hypothesis is that the acupressure signal collides with the signal produced by thinking about the problem, introducing noise into the emotional process, which alters its nature and its capacity to produce symptoms. We recommend acupressure of nine spots on the head and torso in a particular sequence, because it is easier to remember to start from the top of the head and move down the body. You can think of this process as running your fingers down your emotional keyboard. 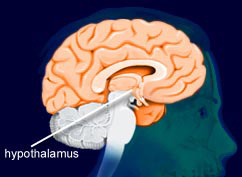 An alternate way to explain emotional tuning, is to consider the function of the brain’s hypothalmus. This is a small part of the brain, located about three inches behind the place where your eye brows meet. Its function is to prepare the various combinations of neuro-peptides or neurotransmitters that we experience as different emotional states, such as fear, anger, grief, despair, confusion, shame, disgust, and craving. For example, it prepares our bodies for a flight, fight or freeze response to perceived threats, by creating the particular chemical cocktail that our body experiences as fear. It releases certain hormones into the pituitary gland, which in turn stimulates the adrenal glands, to speed up pulse and breathing rates, and suspend our digestion. Unfortunately, the hypothalmus cannot distinguish between actual and imagined threats, which explains why it can create anxiety when no real danger exists. However, the hypothalmus not only creates stress responses, it can reverse them as well. By consciously decreasing our breath rate, we can get the hypothalmus to reduce our heart rate and improve digestion. In this peaceful state of mind, clients can tune into normally disturbing images without the usual emotional response. We believe emotional tuning helps to reprogram the hypothalamus to associate traumatic events with inner peace rather than turmoil. Afterwards, the hypothalmus will recreate this calm state of mind in response to an actual event that is similar to a past traumatic event. We believe this is how emotional tuning can prevent the triggering of flashbacks, panic attacks, phobias, cravings, etc.